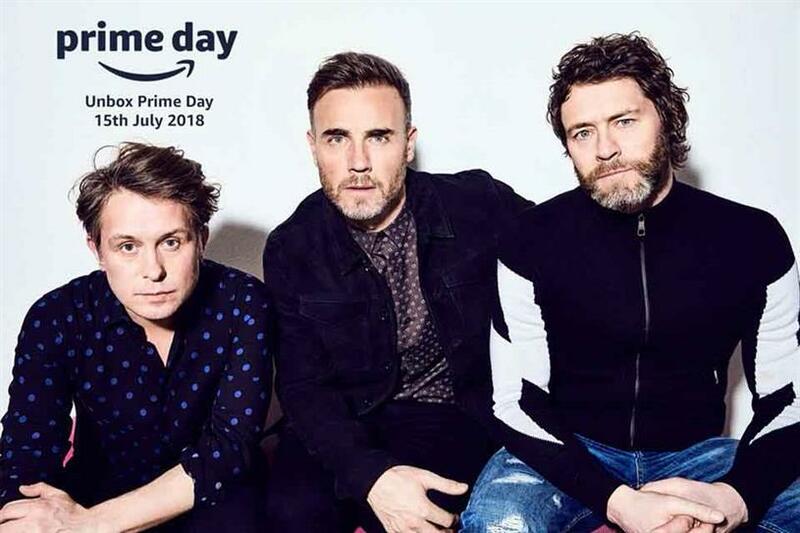 Amazon is creating a series of experiences including a gig headlined by Take That to showcase the entertainment benefits of its Prime membership. The Unbox Prime Day event in the UK will include a screening of Paddington 2, and a reading and Q&A with Ant Middleton on his Sunday Times best-selling book First Man In: Leading from the Front. The day will end with live music from Take That. The event is designed to promote Prime Reading, Prime Video and Prime Music. It takes place on 15 July, the eve of Prime Day, which offers deals for members over 36 hours. The location has been kept a secret, but will be in London. Amazon is also creating an "oasis" away from the busy London streets for its Prime members at Whole Foods in Kensington. The Amazon Prime Lounge will feature a chill-out area, an adult-only ball pit, refreshments, DJs, glitter artists, beauty treatments and competitions. The space is open between 14 and 17 July. Amazon acquired Whole Foods last year for $13.7bn (£10.3bn).